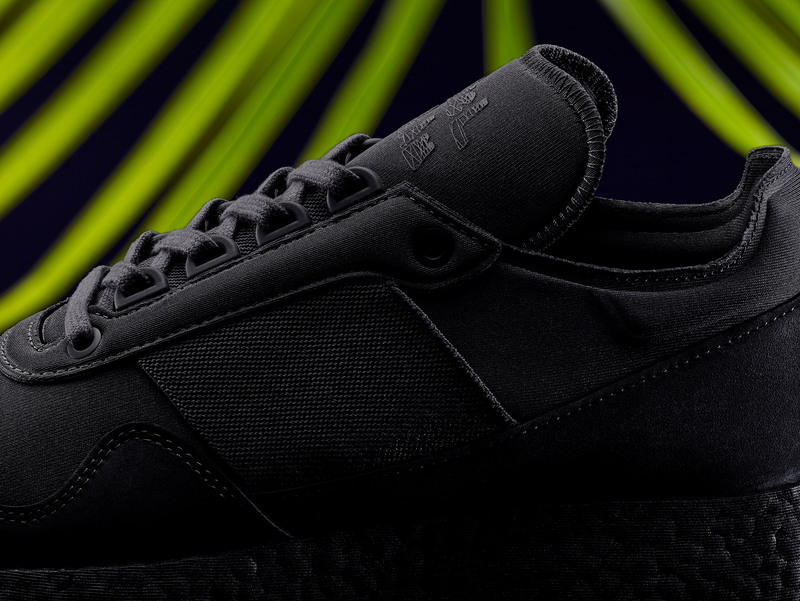 Snarkitecture's Daniel Arsham has designed a pair of monochrome Adidas Originals shoes that combine the brand's Ultra Boost material with neoprene fabric. As the second instalment of a three-shoe collaboration, the Present sneakers follow on from Arsham and Adidas' Past shoe, which was based on archaeological artefacts. While his last design looked to emulate a historical object, Arsham wanted the second shoe to reflect the present moment, and chose materials accordingly. 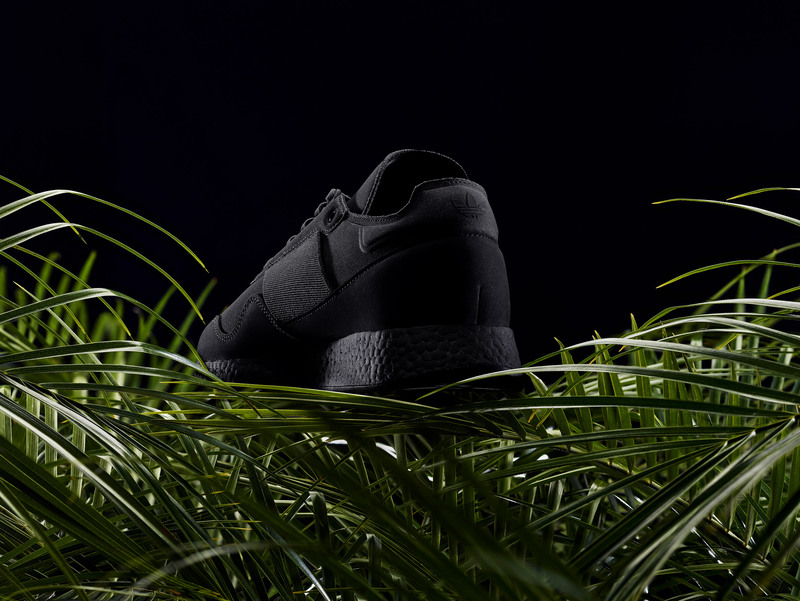 The shoe's textured sole is made from Ultra Boost – a bouncy material that Adidas often uses in running shoes. Neoprene, a synthetic rubber-based fabric, forms the uppers. "For the second sneaker, the Present, I wanted to pick materials and shape and form that really kind of spoke to this moment," Arsham told Dezeen. 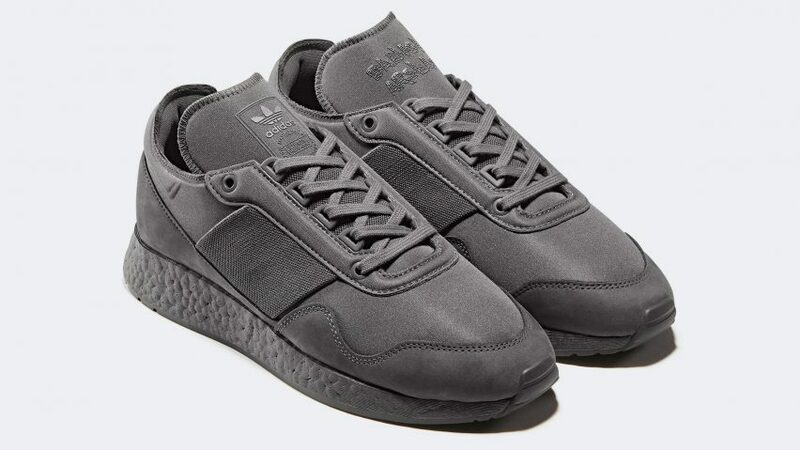 "It has a very unique, never-before-used grey Boost sole and a new upper, that uses neoprene as its base." "We were able to do some really cool material transformations of the neoprene with this – like stamping, that forms it and shapes it." 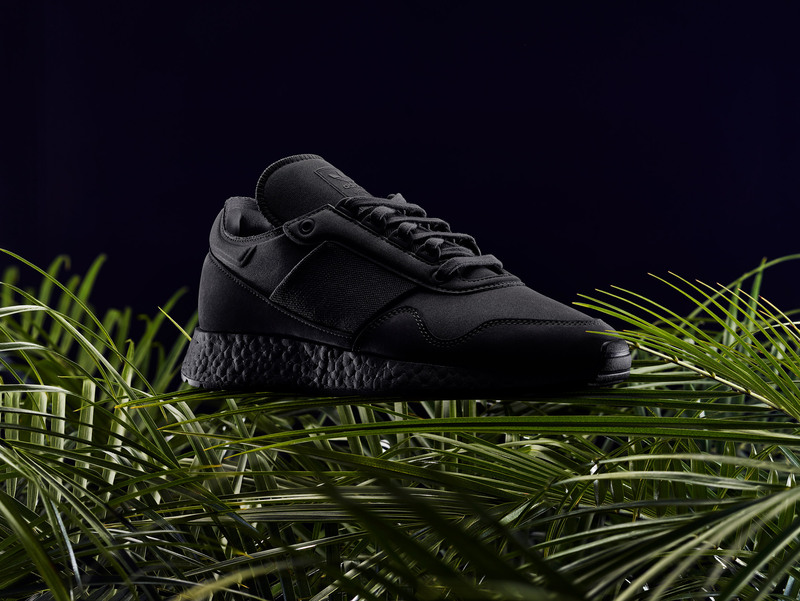 Unlike its predecessor, which took on more of a jagged form, the Present shoe features a smooth silhouette. 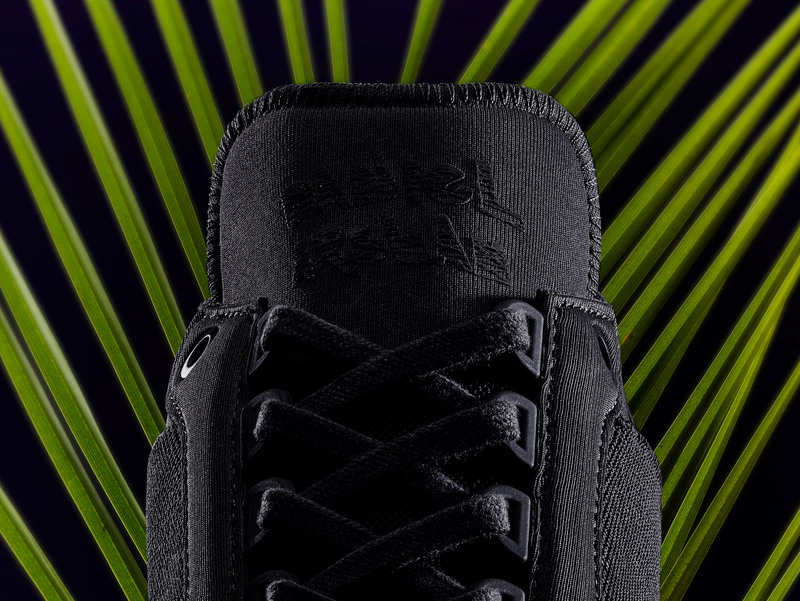 Detailing is created through "stamping", which sees the neoprene moulded to make different shapes and textures. The collaboration is marked on the shoe's tongue, with the designer's name on one and the Adidas Originals logo on the other. "I'm not a shoe designer, so I made sketches on top of an existing shape," said Arsham. "For me, it was more about the materials and kind of refining that down with the team in Germany." The shoes were released alongside a short film named Hourglass, which explores Arsham's creative process, and his fascination with identity through three chapters: past, present and future. "I'm working through this past-present-future story within the film," he said. "I've always loved films about time travel and moving through different time periods, so the film is a kind of combination of documentary and fiction that begins to bring viewers through things that are true and have happened in my life and the past, mixed in with some obviously fictional elements," he added. Arsham co-founded architecture studio Snarkitecture alongside Alex Mustonen in 2008. The duo – who ranked at number 202 on the inaugural Dezeen Hot List – often create spatial installations. They previously suspended 700 Air Jordan replicas in a Brookyln menswear store and filled the National Building Museum in Washington DC with almost a million plastic balls.